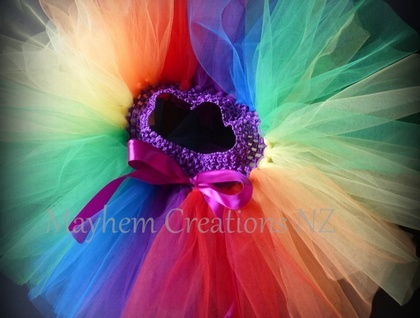 These stunning rainbow tutus are very popular and are our best selling tutu. 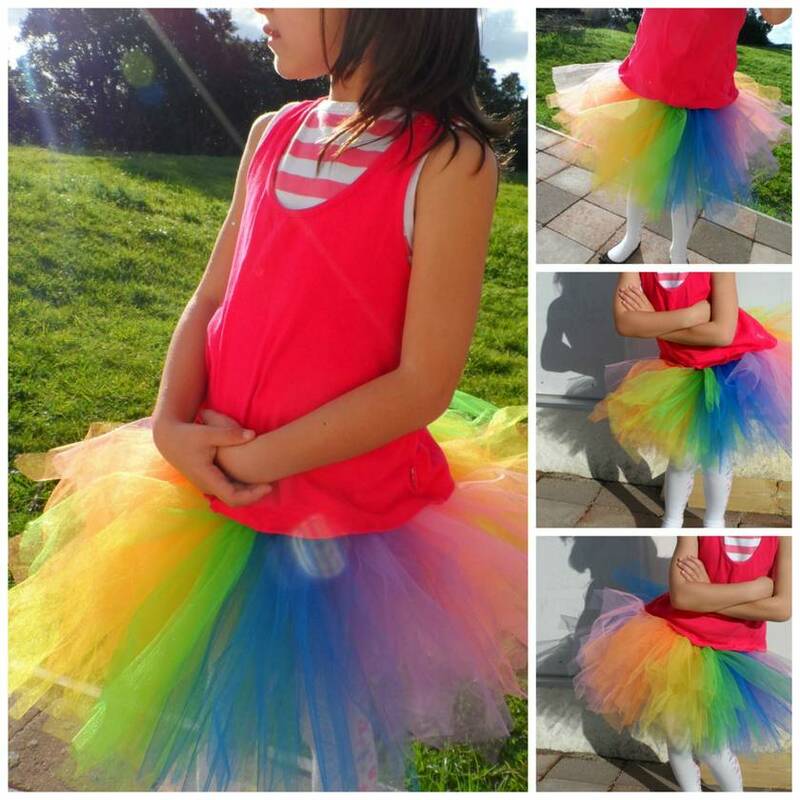 If you are hunting for a gorgeous birthday present, or even an outfit for the birthday girl, then a tutu is a favourite choice for many girls. 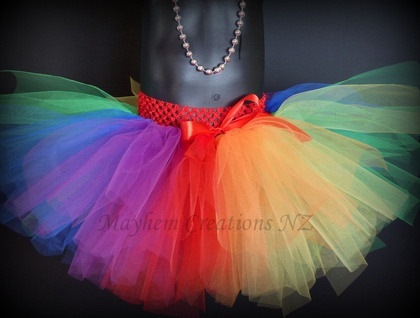 The bright vibrant colour will make her laugh, dance and twirl for hours of fun. Contact mayhemc to enquire about payment or shipping options.